CBS Sports has begun airing a new image campaign that centers around a virtual rendition of a stadium in the shape of the network’s iconic eye logo. 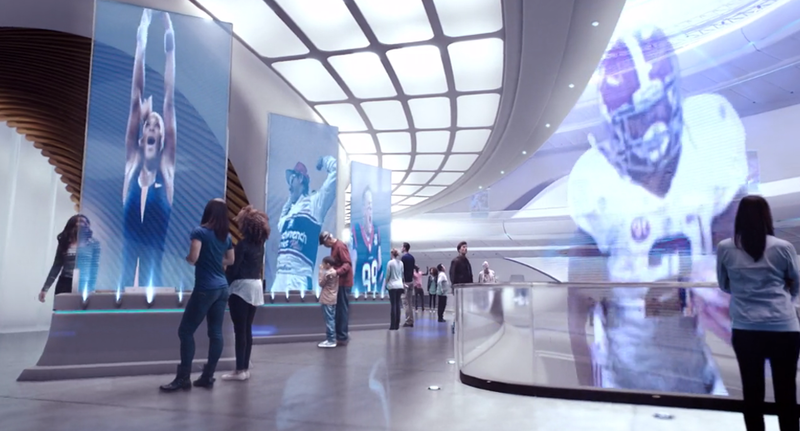 In the spot, created by agency Stun Creative with design and VFX by Buster Design for CBS, viewers are treated to a trip through the interior of a futuristic building, first entering through an opening that leads to an atrium-like space. Scattered around the virtual space are floating glass “panels” in a variety of sizes that display video clips and other imagery. Also included are “tickers” with CBS Sports branding and hologram-like images of players. CBS sports unveiled a new logo in November and this spot integrates that new look. CBS Sports Image from Victor House on Vimeo.